Change is inevitable, but it can be slow, especially for your sales process. Lots of enterprises have been switching up their sales processes over the last few years. Old-fashioned outbound selling is on the way out: Customer-focused inbound is in. It’s easy for sales leaders to get excited about the proven, data-driven results they can get from inbound selling. But, alas, that enthusiasm doesn’t always carry over to the whole team. Yes, sometimes people get set in their ways. Still, it’s important not to assume your team is actively opposed to change. What seems like resistance often comes down to confusion about how the new way works. It’s up to leaders to set the right tone so teams follow them into a new way of doing things. Your reps may have used a certain sales process for years. Now, they need to turn on a dime. Self-service online coursework is a popular way to introduce small changes, but complete sales process transformation doesn’t fit the bill. With that in mind, don’t slack on the training. Knowledge retention is highest with a demonstration-based approach. Back it with lectures for a winning combination. No one’s memory is perfect: As they get acclimated, most people will need a sales playbook. A playbook is a written reference that lets reps review best practices as they navigate new processes out in the wild. Be sure the playbook is done and ready to go from the moment reps start re-training, so they can study up. Reps get excited when they see how something new will help them achieve better sales figures. Whether that “something” is a new tech tool or a revised sales process, hard data helps you argue the case. Highlight what’s in it for your reps, preferably with research that shows an undeniable likelihood of performance improvement. That gets them eager to see the results for themselves. Bad goals sow confusion in any business process, but they’re especially perilous when you’re trying to inspire change. If your goals don’t match your resources and the market landscape, it will look like proposed changes are a road to nowhere. That erodes confidence in leadership, too. In the past, we’ve talked about how SMART goals get you on track to excel. Specific: Is the goal focused and definite? Will you know when you get there? Measurable: Is the goal something you can track with your existing toolkit? Attainable: Is the goal practical given your staff, skill level, and budget? Relevant: Will the goal move you forward? Does it match market conditions? Timely: Can you set a firm target date for accomplishment? Is it realistic? When you launch new sales processes, it’s especially vital to revisit the SMART framework and review your goals point by point. For example, some companies switching from outbound to inbound sales realize too late they aren’t sure how to collect all the data they need. This conceals the value of inbound and leads to disagreements on the best way forward. All that wasted time could be saved with well-formed goals. Don’t let it happen to your team: Get SMART from the start. Recognition: Know how your reps like to have their achievements noticed. Some people love to be the center of attention in a group, while others prefer the personal touch during a one on one meeting. Either way, a kind word can do a world of difference. Compensation: A major change in sales strategy gives you a chance to link compensation to different outcomes. What’s rewarded gets repeated, whether that reward comes in the form of a cash bonus or time off. Having an executive sponsor is a good idea for most large-scale change management campaigns. Ideally, your top sales leader is visible and vocal in support of change. If possible, getting the CEO involved can cement the sense that everyone is pulling in the same direction. Sales experts will feel supported and confident knowing they won’t have to reverse course in a month or two. 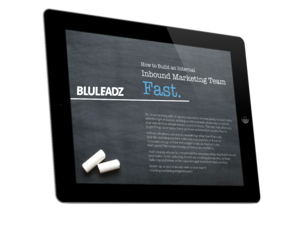 There are growing pains in any new sales process, but the end results are often worth it – especially with inbound. These six steps help ensure the changes you want truly stand the test of time.